A young mother fights impossible odds to be reunited with her child in this acutely insightful first novel about an intercultural marriage gone terribly wrong. Jill Parker is an American painter living in Japan. Far from the trendy gaijin neighborhoods of downtown Tokyo, she's settled in a remote seaside village where she makes ends meet as a bar hostess. Her world appears to open when she meets Yusuke, a savvy and sensitive art gallery owner who believes in her talent. But their love affair, and subsequent marriage, is doomed to a life of domestic hell, for Yusuke is the chonan, the eldest son, who assumes the role of rigid patriarch in his traditional family while Jill's duty is that of a servile Japanese wife. A daily battle of wills ensues as Jill resists instruction in the proper womanly arts. Even the long-anticipated birth of a son, Kei, fails to unite them. Divorce is the only way out, but in Japan a foreigner has no rights to custody, and Jill must choose between freedom and abandoning her child. Told with tenderness, humor, and an insider's knowledge of contemporary Japan, Losing Kei is the debut novel of an exceptional expatriate voice. 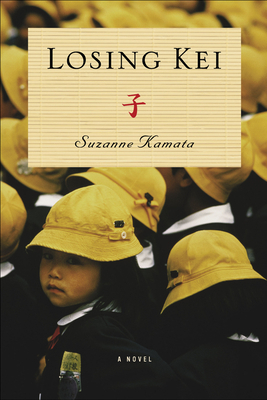 Suzanne Kamata's work has appeared in over one hundred publications. She is the editor of The Broken Bridge: Fiction from Expatriates in Literary Japan and a forthcoming anthology from Beacon Press on parenting children with disabilities. A five-time nominee for the Pushcart Prize, she has twice won the Nippon Airways/Wingspan Fiction Contest.